Aerial view of elevated terrace, lower lawn and estate. Arial view of tented reception site from overhead the estate. 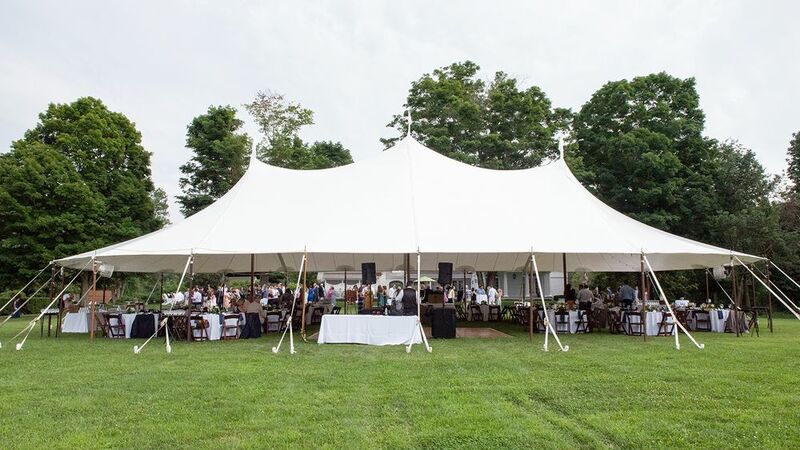 Vegetable gardens and small tent in the background serves as a great space for an outdoor rehearsal dinner. Small tent near vegetable gardens. Can be used for a rehearsal dinner. Apple orchard. 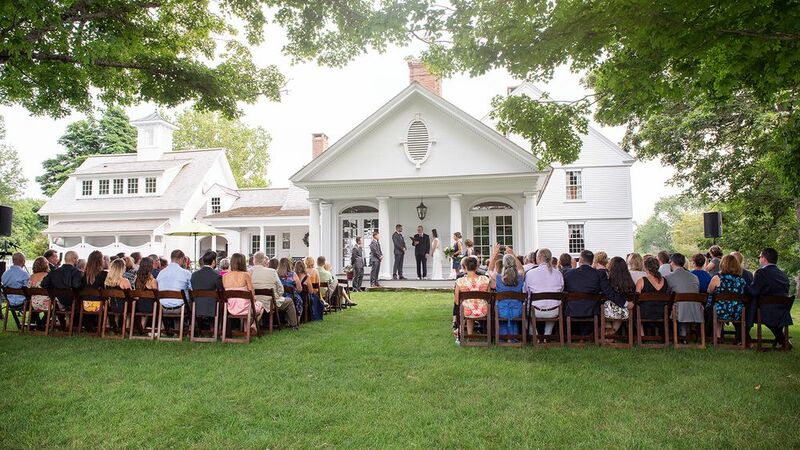 Perfect backdrop for a roaming cocktail hour or seated rehearsal dinner underneath the orchard canopy. Apple orchard on side of house. Located in the Land of the Sleeping Giant, Bashan Terraces boasts of the most rich and colorful lands in the region. From vibrant gardens, to a pastel colonial home backdrop and gorgeous green forests. 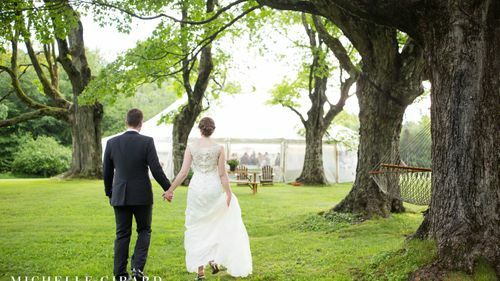 The venue is perfect for the couple who wants to enjoy the outdoors in the elegance of timeless New England estate and farm. Cocktail hours by the home (available for rent overnight as well) and ceremony in a quiet corner of the acres of green grass lined by ancient maples. Bashan Terraces is truly a venue you can make your own. 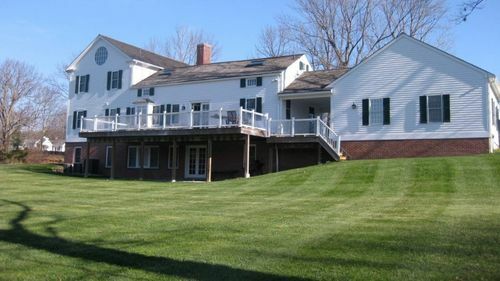 This family owned and renovated estate is meticulously maintained through a true labor of love. 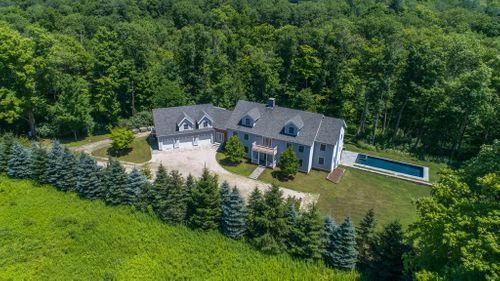 From organic vegetable gardens, to orchards and luscious green landscapes, this property is a truly one of a kind space with a heartwarming mission at its core. After returning the property to an organic farm and orchard, the family started an Adult Vocational Program (AVP), a non-profit business that provides meaningful and healthy work opportunities for individuals with developmental disabilities. 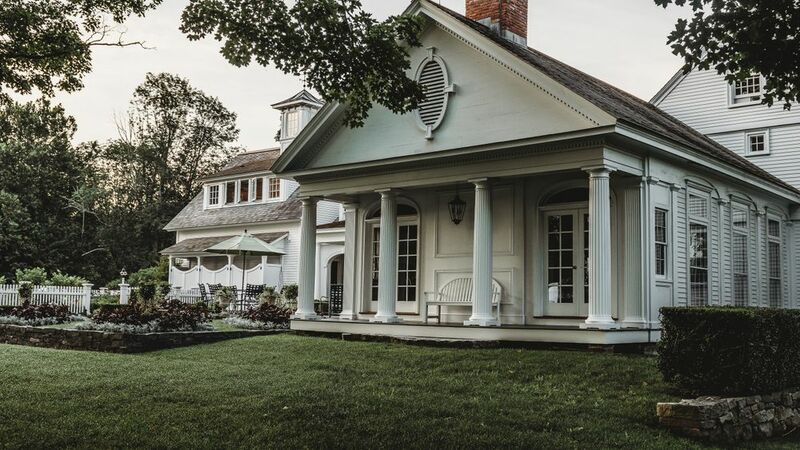 It’s through this non-profit that the family is able to provide opportunities to the disabled, showcase their work through the farm’s elegant landscape, and provide funding for such a noteworthy cause. Only 5 Weddings Remaining for 2019 — then calendar will close.? Changing Rooms - 2, including wedding party suite. Restrooms - 3, for wedding party on the day of and included with on-site accommodations. Rentals required for wedding guests. Parking - Up to 100 cars. Electric Power - Available at both reception and ceremony sites. Supports lights, caterer, DJ, coffee pots. This 5,000-square foot fully renovated main home includes 6 fireplaces, 6 bedrooms, and 2.5 baths, while maintaining the historical architecture and craftsmanship of the colonial time period. Highlights include an 800-square foot great-room, with 15 foot vaulted ceilings, built in bookcases, french doors, floor to ceiling windows, and a fireplace, serving as an elegant gathering space and a focal point for the entire home. 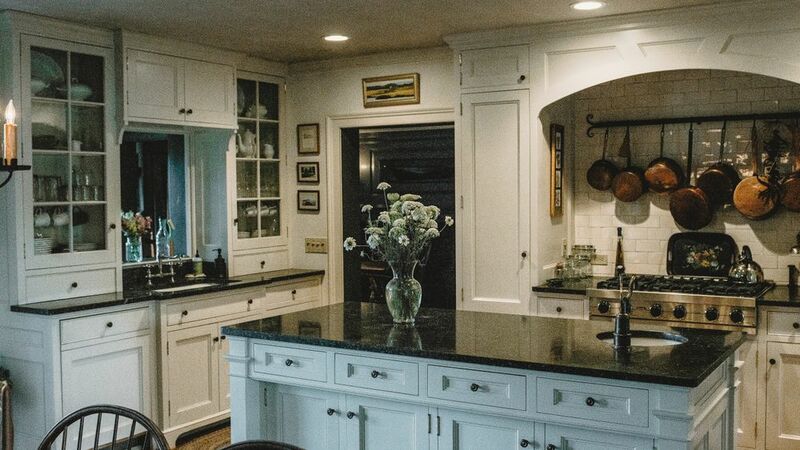 The interior house showcases exposed chestnut beams on the third floor, detailed moldings and paneling throughout, and original hardwood floors. The exterior has columned porches, brick walkways, stone patios, and traditional architecture. Combined, this home makes for the perfect setting to host your closest friends and family before the big day. Bridal photo in front of french doors in formal sitting room. Wet bar available with on-site accommodation rentals. Access to entire house including kitchen for day of wedding. Refrigerator, freezer and dry goods storage area available with easy access to reception site. Full cell service available throughout property. Internet available in house but not in field. Fire pit on-site and available upon request. 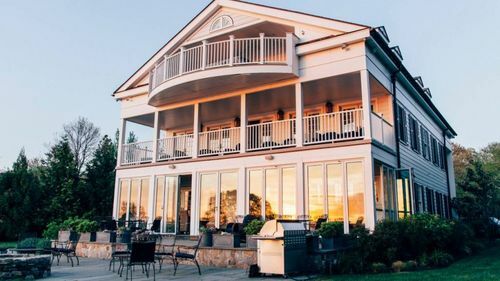 Home may be rented for a rehearsal dinner for an additional $1000 fee. Rehearsal dinner is permitted free of charge when overnight accommodations are purchased. Antique restored pick-up truck available to rent as photo backdrop or event prop for $200. Smoking Policy: No smoking in house or on porches. Outside permitted. Open Flame Policy: Torches permitted. Bonfire on site. Other situations, upon request. Pet Policy: Authorized for wedding couple only. Decorations: No tape on interior/ exterior walls and trim. Fireworks: Upon request and with required permits only. Town Ordinances: No amplified music after 10pm.